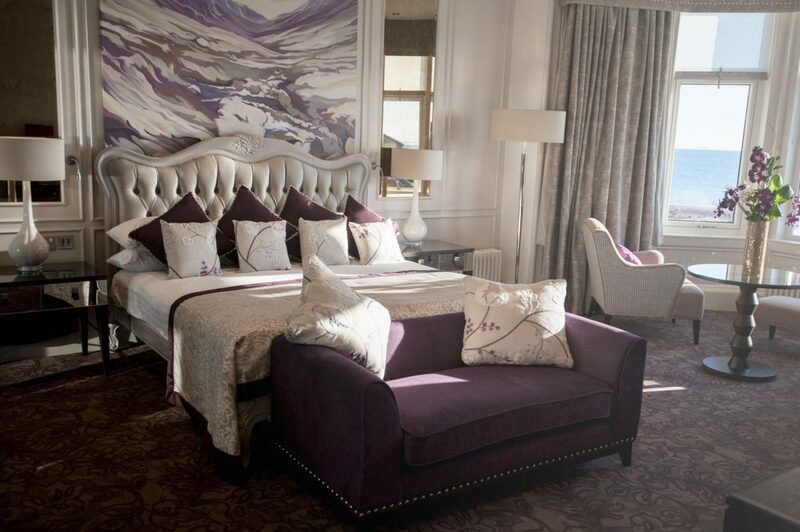 The Glen Rosa Suite at Seamill Hydro must be one of the most spectacular and luxurious rooms in Scotland, the ultimate indulgence for the most special of occasions. Located in the grandest area of the original Victorian building and spanning an area which was previously three bedrooms and three bathrooms, the Glen Rosa Suite consists of exceptionally spacious bedroom, bathroom, hall and lounge, all featuring high ceilings and drowned in light from the large windows. The bedroom is dominated by the large bay window, with uninterrupted views over the Firth of Clyde and isle of Arran. 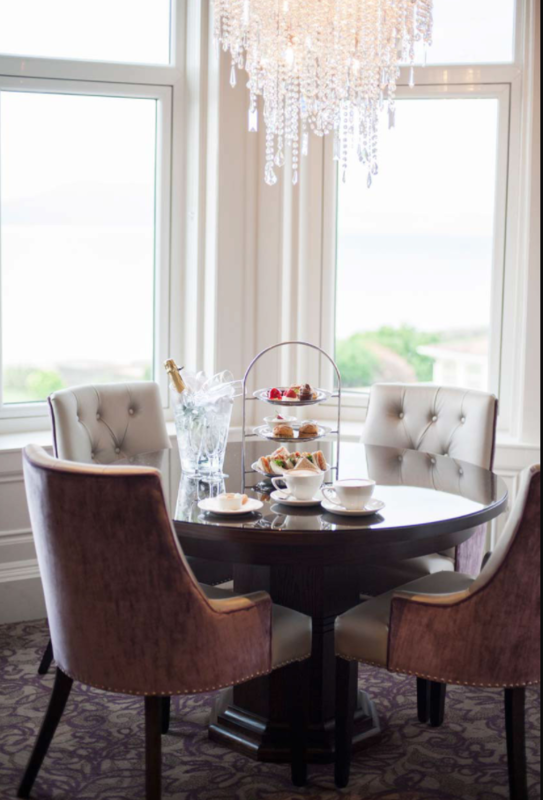 The lounge features the famous Seamill turret, affording panoramic views right along the Ayrshire coastline, in fact over one hundred square miles of land and sea is visible from this impressive suite. The bedroom features a French, hand carved super-king-size bed, comfortable lounge chairs to take in the spectacular view and an amazing custom built hidden dressing table, complete with Hollywood mirrors. Of course as you would expect the room has a large, flat screen smart TV, ample wardrobe space, writing desk and state of the art digitally controlled lighting system. The Lounge of the Glen Rosa Suite is the perfect setting to entertain or relax, to invite your guests before eating in our Orangery Restaurant or joining your private event in the Ailsa Room. 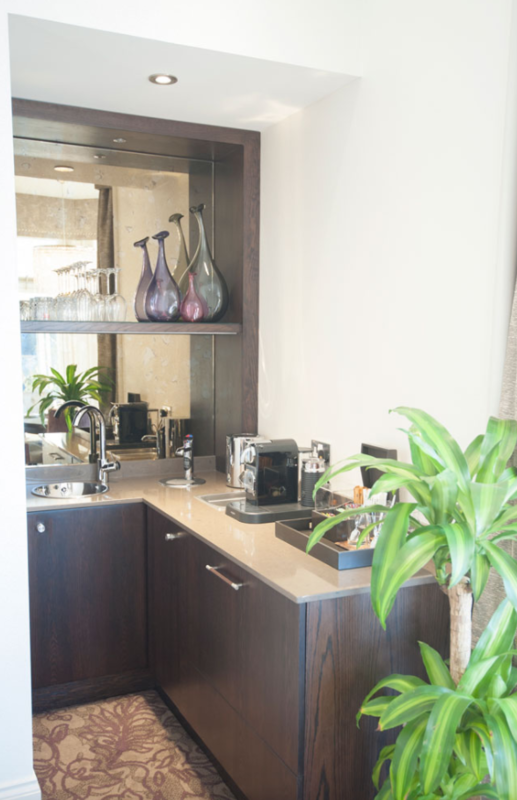 Breakfast can also be served in the Glen Rosa Lounge, ensuring you can enjoy every last moment of opulence. The Glen Rosa suite also enjoys a room management system, allowing you to control lighting, audio and the TVs from the included Sony tablet. 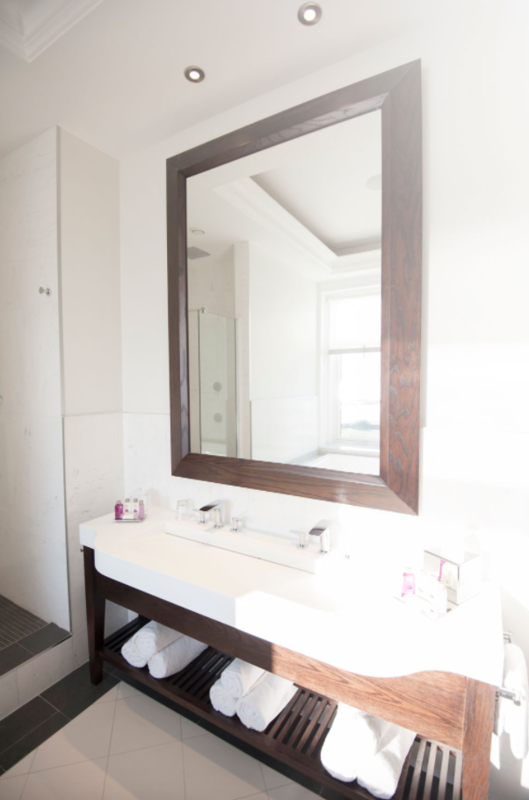 The Suite is finished to the highest possible standard throughout with a comfortable elegance in which you can truly relax and indulge.